Specify the path of the disk you want to convert and click Next. Choose the action you wish to perform on the disk. 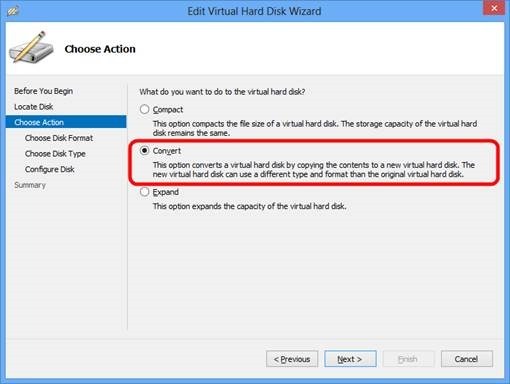 In this case, choose the second option to Convert the virtual disk from one type to another and click Next. 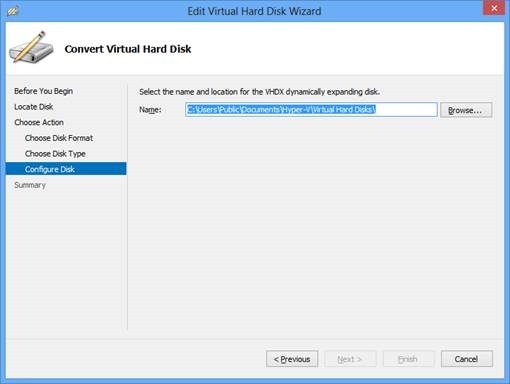 Choose the VHDX format and click Next. In this step of the conversion process, you can choose to also convert disk type, Fixed or Dynamically expanding. Choose the location for the converted disk and click Next. Finally, you can confirm the disk format, disk type and location of the newly converted and click Finish to begin the conversion. You can use PowerShell cmdlet Convert-VHD to convert from VHD to VHDX in Hyper-V Management Tool is installed. This is useful for scripting batch conversion. 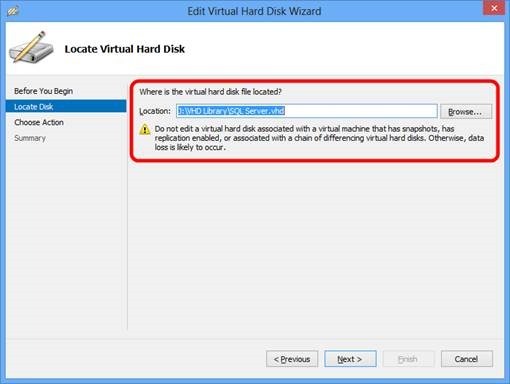 VHDX only works on Windows Server 2012 and above. 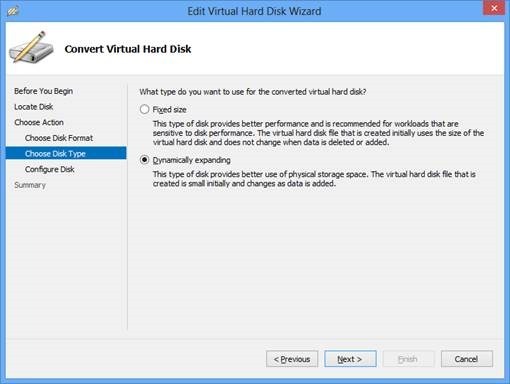 If you want to move the VHD to a Hyper-V host runs Windows Server 2012 R2, you need to convert VHDX to VHD first. 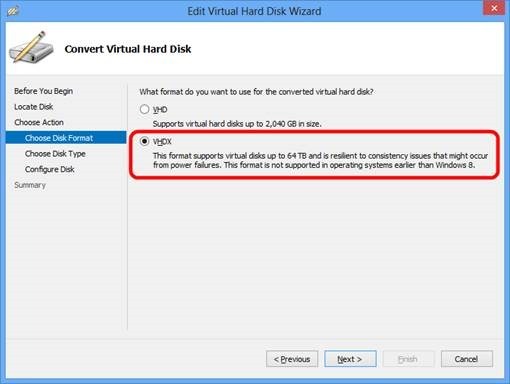 Keep in mind if you create a VHDX that is LARGER than 2040 GB you can’t convert it to VHD because the VHD format doesn’t support larger than 2040 GB.